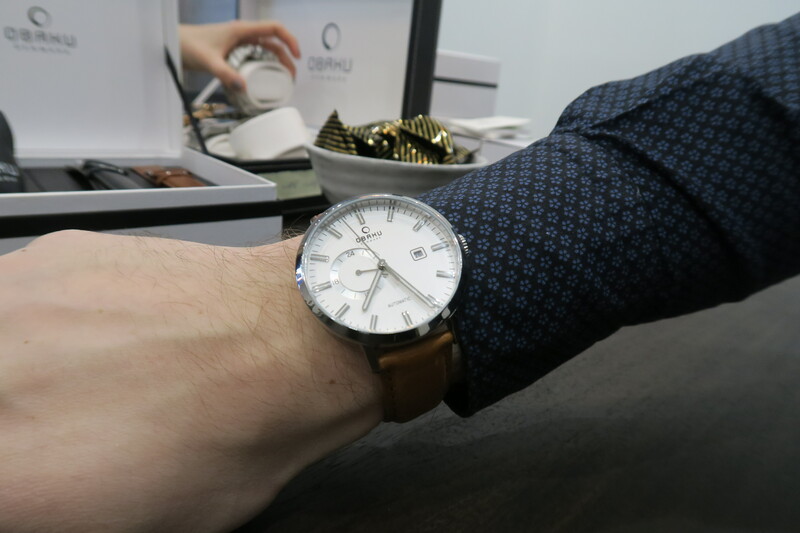 Today’s article is dedicated to the new automatic watch from Obaku. 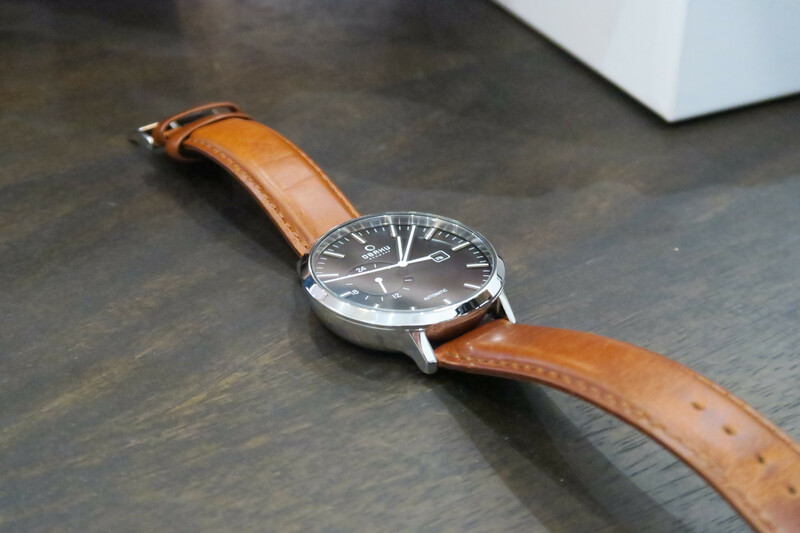 Yes, you read it right – there will be new men’s automatic watch from Danish manufacturer! 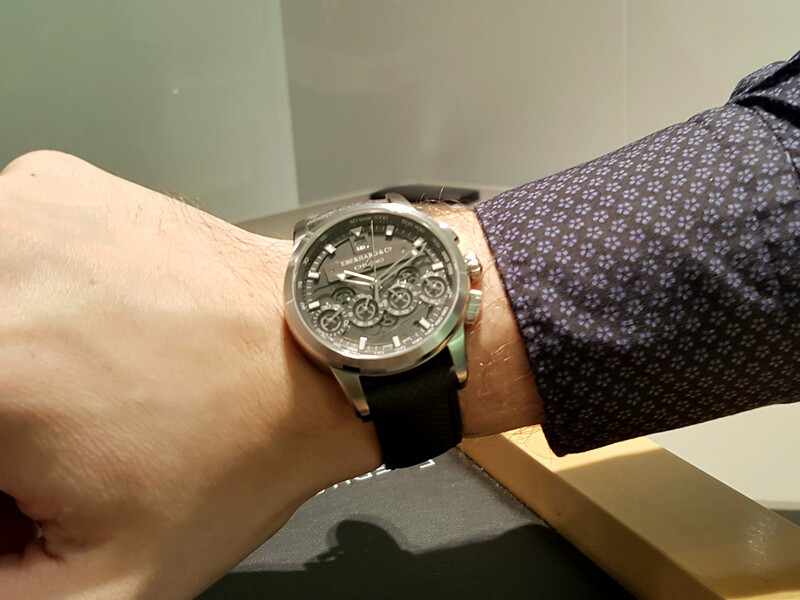 They decided to commemorate anniversary with such release, and we’ve had a chance to check it on Baselworld 2017. 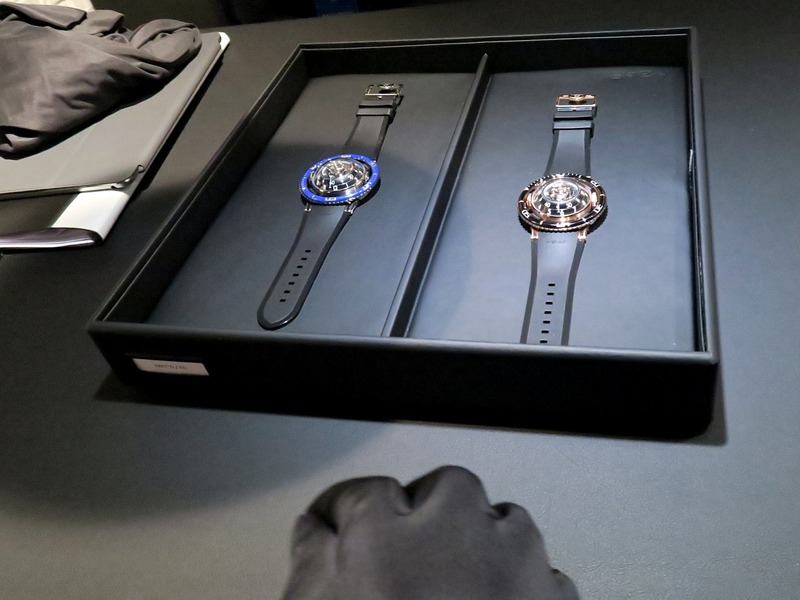 By the way, here you can read report with another watch at Baselworld 2017. 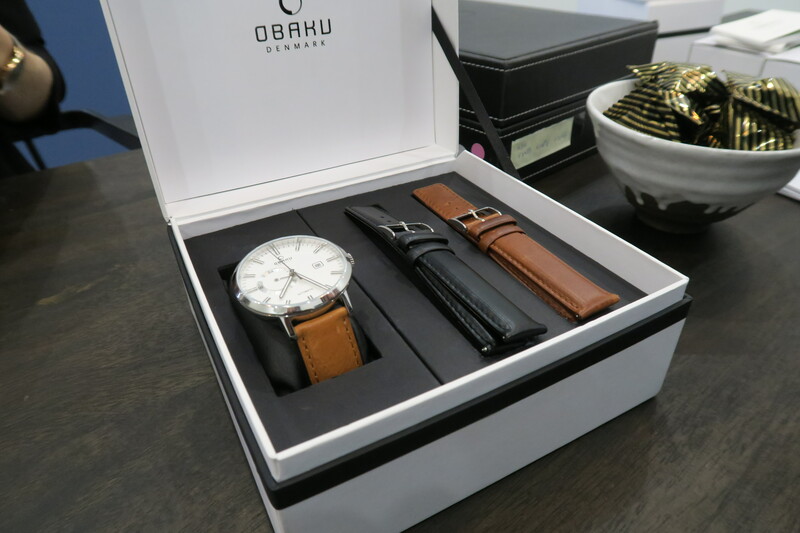 It was quite funny when I asked question about possible automatic watch from Obaku and straightaway was shown nice box with novelty. 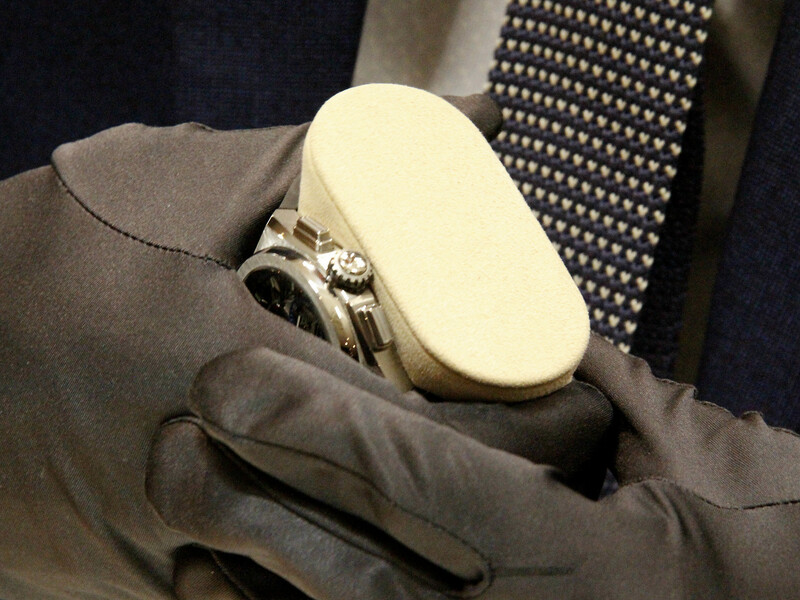 New model will be designed for men, but I have no doubt that we will see women’s version in the future. The most important thing here is consistency. 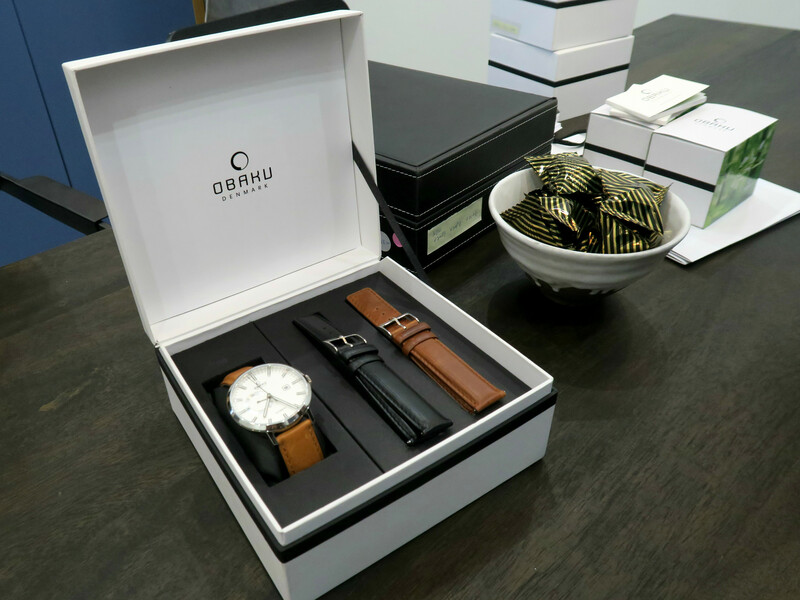 Watch designers decided to stay on the same line and preserve nice clean design, which we are used to see on Obaku watches. Note that case is not thin and finished funnel-like shape with wider top part. 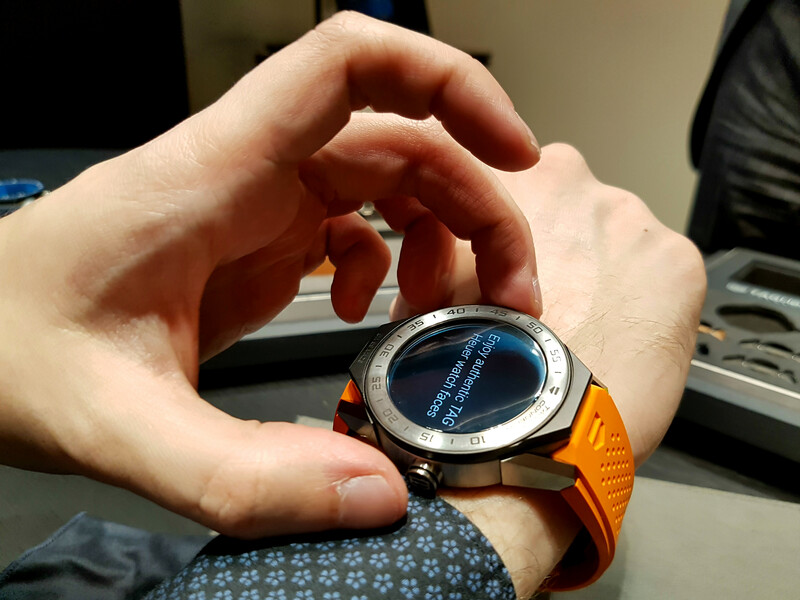 I can say that big thickness and weight add to overall perception of this watch, and it feels as expensive accessory. 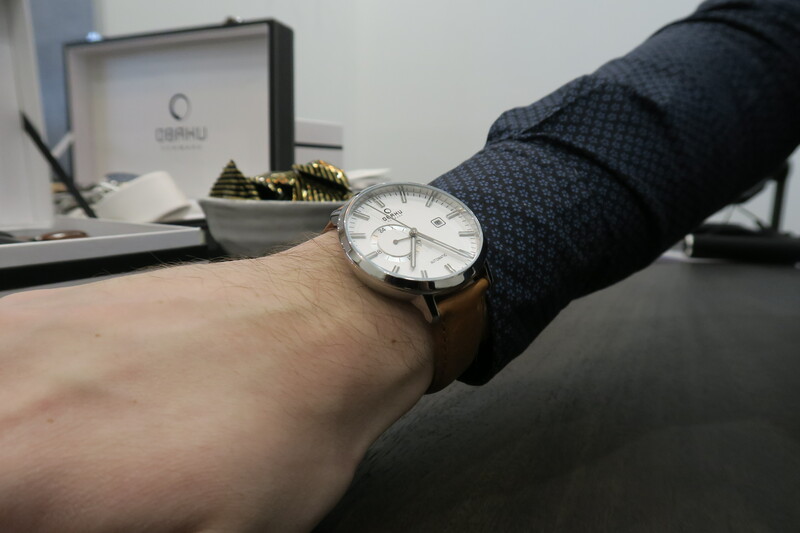 There are no complications, but that’s what we are used to see in Obaku, right? Clean, calm design here can be considered as one of the main selling points. 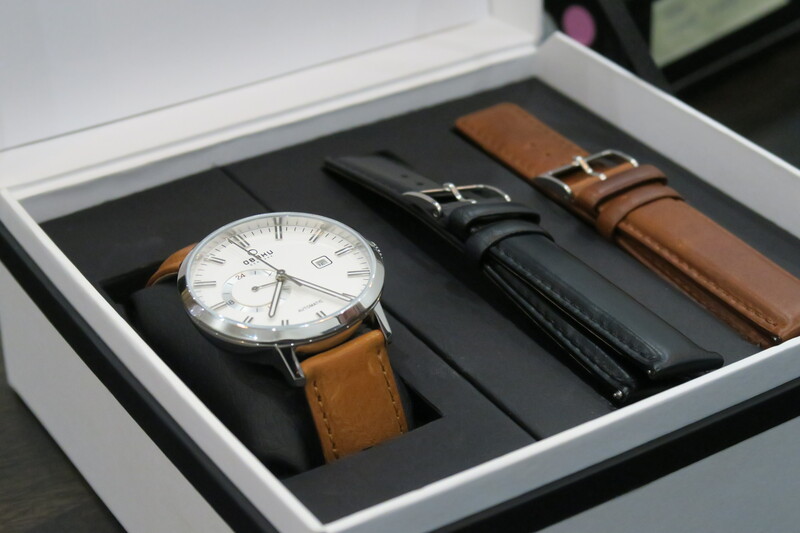 Moreover, dial is finished in white, which should be easy to read. 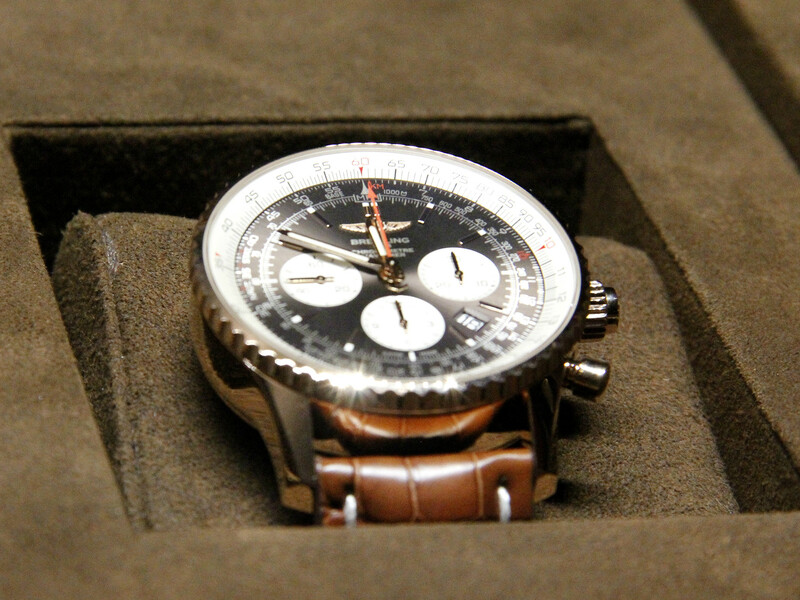 Back side is made transparent, so that owner can appreciate the first automatic movement in Danish watch. 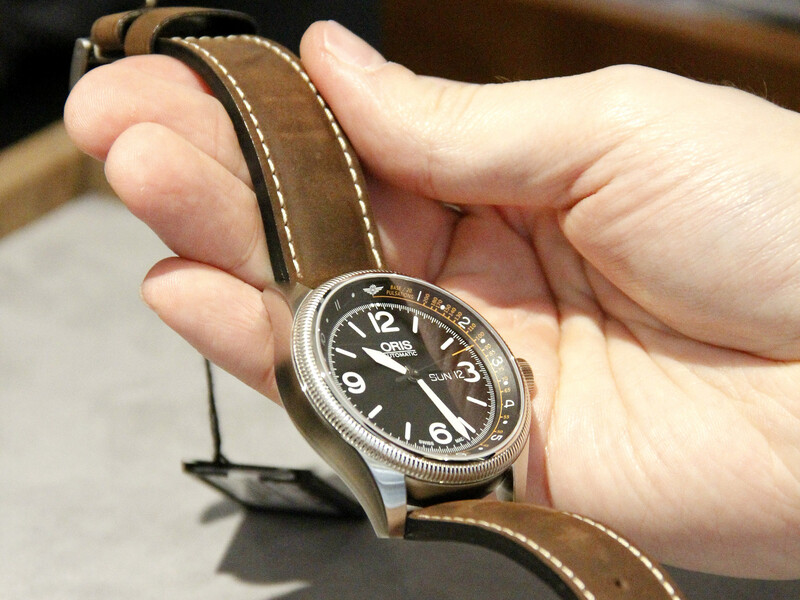 In order to keep price at reasonable level, manufacturer decided to use classic Miyota movement. 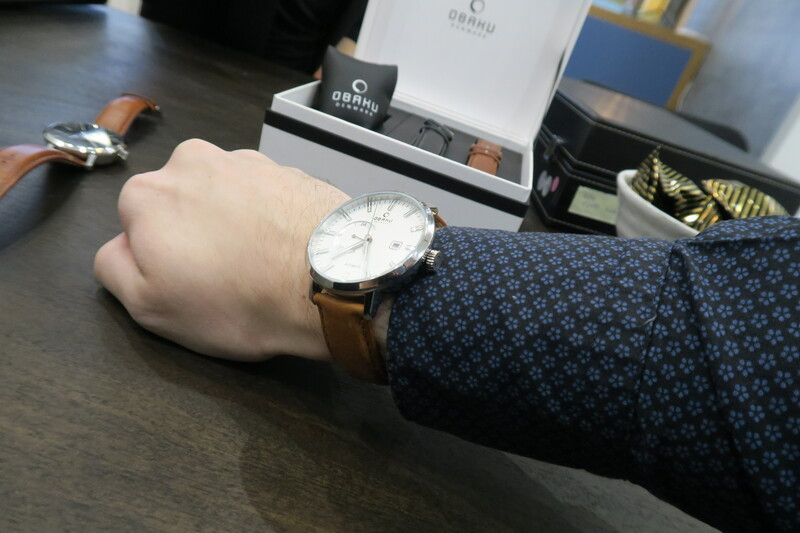 We all know that it is reliable enough and should be considered as reasonable option for attractively-priced dress watch. 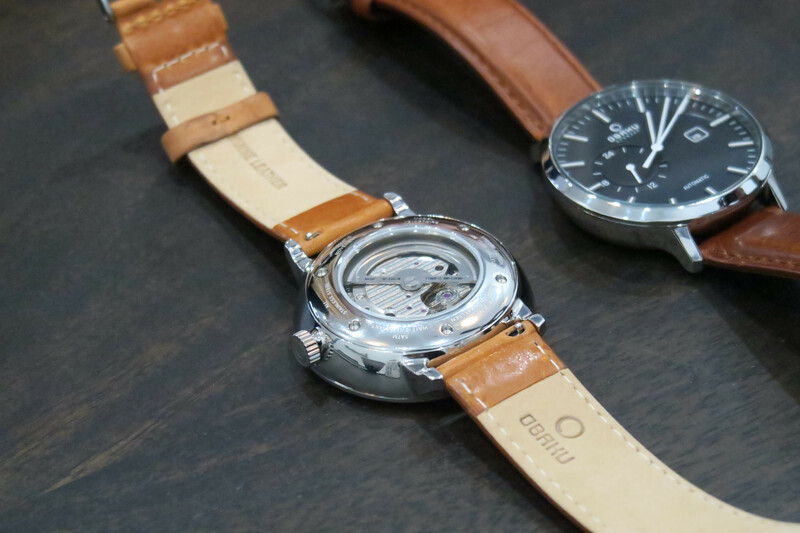 Watchmaker will supply two straps with Obaku V210 Automatic. 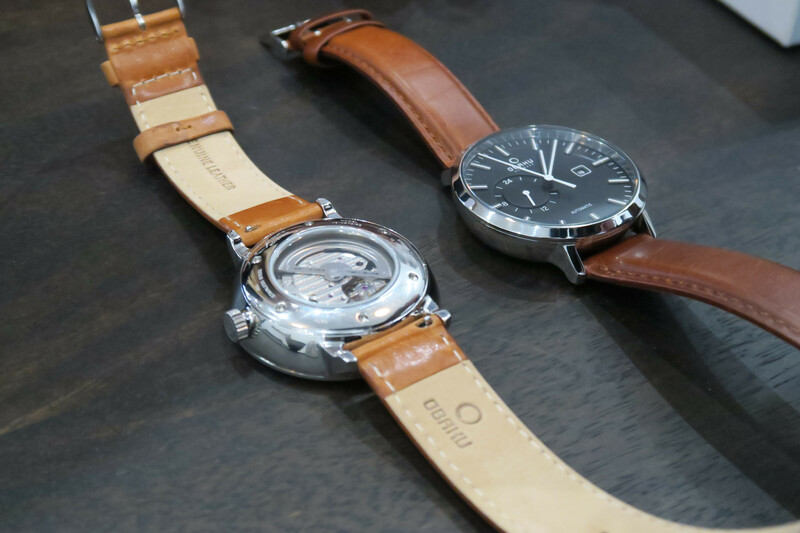 You might be surprised, but both will be leather ones, and metal version can be ordered separately. 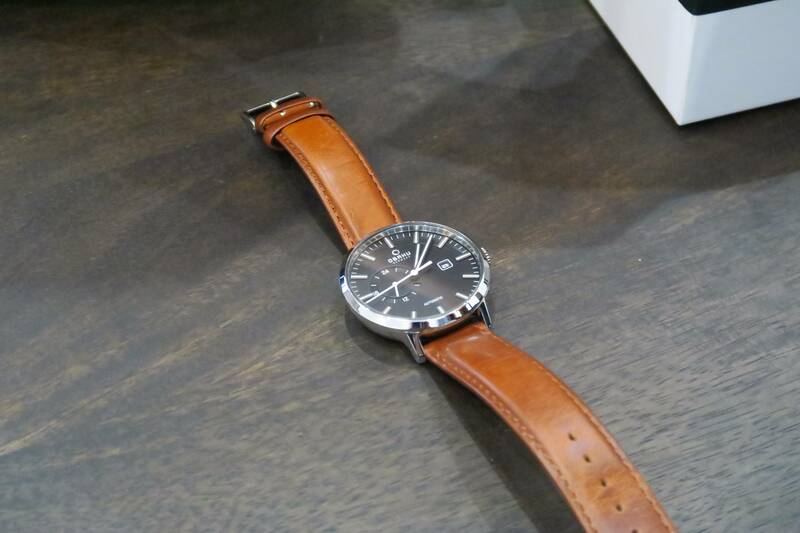 Leather option adds to classic look of the watch, and I think that such design will be appreciated by many. 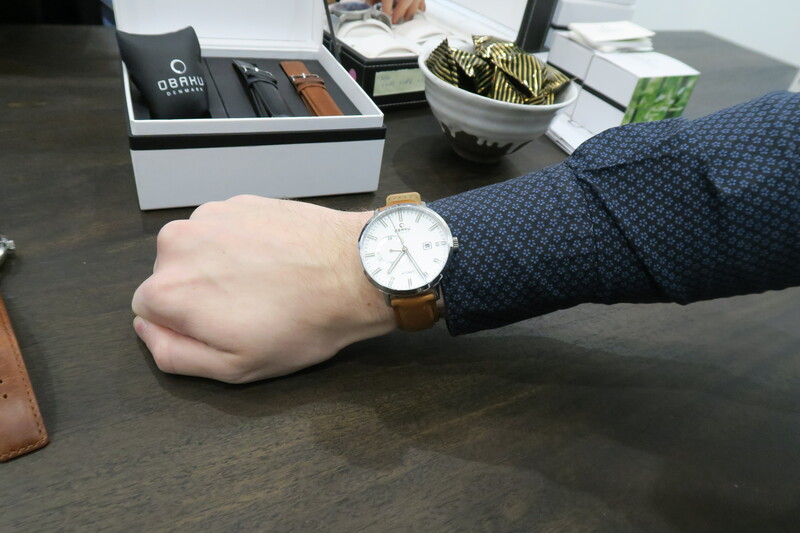 New model should be available this spring, and I think that Obaku succeeded in combining their design with automatic movement. 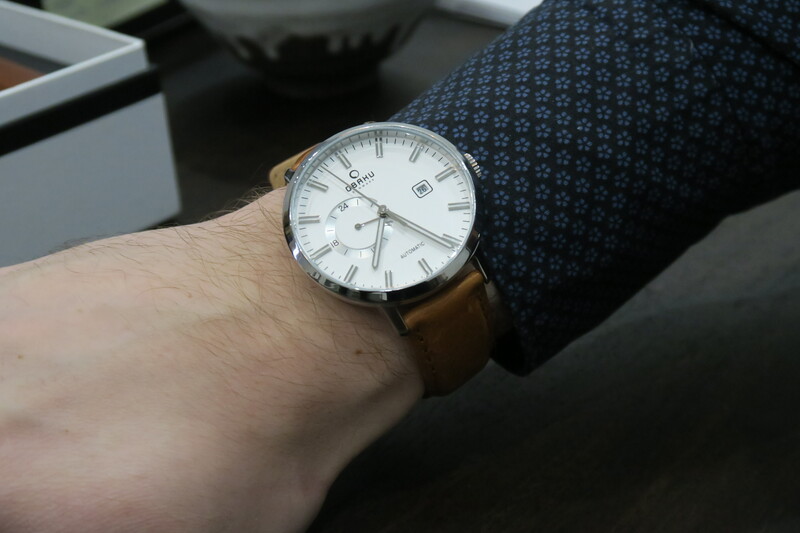 We’ve got used to quartz in Danish watches, so now it’s time to change our stereotypes.